As I mentioned back in the FFG post earlier, you all know that I love abstract strategy games. 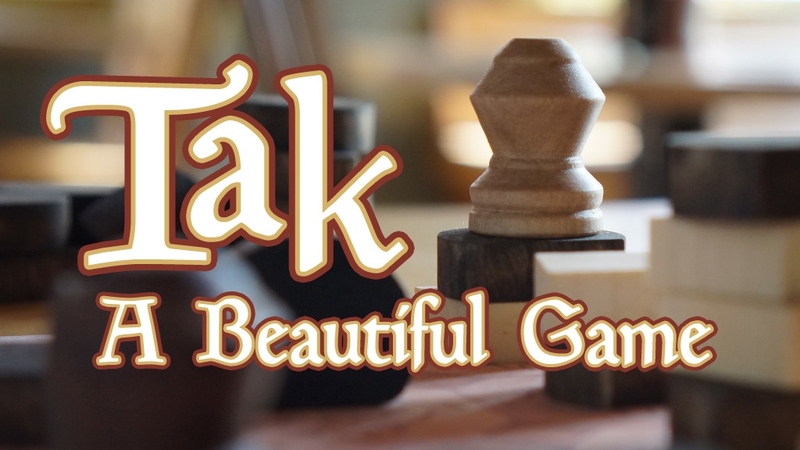 Well, Cheapass Games is running a Kickstarter campaign for Tak, a strategy game first described in Patrick Rothfuss' book The Wise Man's Fear. If you're a fan of games like Chess or Go, you might want to check it out. 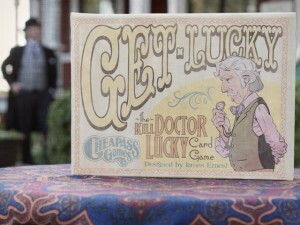 The Kickstarter campaign for Kill Doctor Lucky continues along. They've come a long way since the start and are more than 2x funded, getting close to 3x. They've got a lot in store, though, in terms of stretch goals. In order to help get there, they're offering a new game as an add-on. It doesn't have anything, directly, to do with Kill Doctor Lucky, but the name Deadfall does seem to fit in, thematically. At my old LGS in St. Louis, I remember seeing the rack of Cheapass Games over to one side of the "game side" of the store (the other half of the store was comic books). Over the years, various people picked up ones and we'd play them as quick games to play in-between games of 40k or Warmachine. They were always really fun and, as one could guess, pretty cheap to buy. Well, now Cheapass Games has launched a Kickstarter campaign to bring out a new, deluxe version of their very first game, Kill Doctor Lucky. 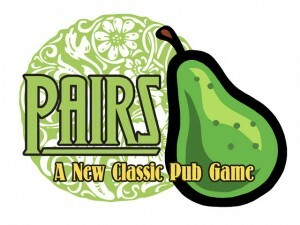 Cheapass Games is running a Kickstarter campaign for Pairs, their new, simple card game. Playing Pairs is easy. The most important rule is that points are bad. Also, there is no winner, just one loser: the first player who scores too many points. For example, In a 4-player game, the loser is the first player to collect 16 points. To begin each round, the dealer gives a card to each player. The low card goes first, and play passes to the left. On your turn, you may take a card or fold. If you take a card and catch a pair (any two cards of the same rank), the hand ends, and you score the value of that card. For example, if you got a pair of 8's, you score 8 points. If you don't get a pair, you're safe, and play moves to the left. If you fold, you score the lowest card in play, and the hand ends. So if there is a 2 on the table, you could fold for 2 points rather than risking pairing your 8. Set your scoring cards aside, discard the rest, and play another hand, until someone goes out. Cheapass Games has just a couple days left on their Kickstarter for Get Lucky, the card game based on their popular Get Dr. Lucky board game. Get Lucky is a compact, inexpensive, and fast-playing update of a Cheapass Games classic. 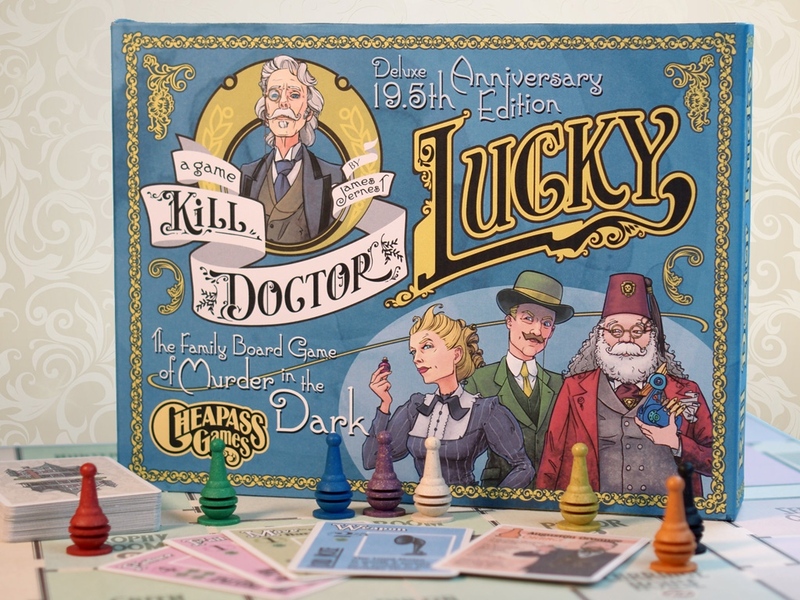 Kill Doctor Lucky is our award-winning board game, originally released in 1996. It's the tale of a crazy old man and the collection of murderers who want to kill him. But he's a very lucky old man, as his name suggests, so it is always a challenge to take him out! Get Lucky is a card game based on the same idea. Each player controls two murderers, and Doctor Lucky is represented by a pawn that moves around the table. The turn moves with him, and Doctor Lucky's luck is represented by icons on the cards. When you're not trying to kill Doctor Lucky, you're often trying to save him from someone else! The game ends when Doctor Lucky's luck runs out, and someone finally manages to land the killing blow.